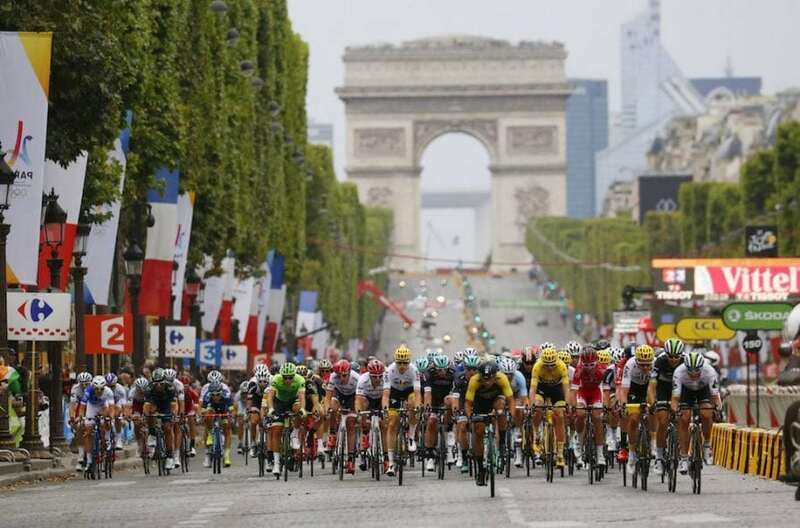 The Tour De France will commence on 7th of July through to the 29th July and is the 105th edition of this hugely popular cycling event. This Tour De France will consist of 22 stages and will feature 22 teams. There will be 176 riders. Sport betting sites have favourited Chris Froome to win the Tour De France. 10Bet, one of the best UK betting sites, have labelled Chris at 17/11 to win the competition. Chris Froome has won the Tour De France 4 times in his career and is currently the title holder of the competition. In fact, he has won it the past 3 years. Team Sky have been amazed with his performances over previous years and will want his hard work to continue paying off in the 2018 Tour De France. Behind Chris Froome in the likely winners pecking order is Richie Porte, the Australian international, has 4/1 odds on BlackType to beat Chris Froome and take his title off time, stopping him of a 4th on the trot. Richie Porte is seen as possibly Chris Froome’s biggest competition and the one to watch out for, despite crashing out of the 2017 Tour De France. Other contenders include Nairo Quintana, Mikel Landa and Vincenzo Nibali. Nairo Quintana can be seen as 17/2 odds on SportingBet, he is an unlikely winner in the upcoming event after failing to win the Tour De France the previous year and also the Giro d’Italia. Nairo Quintana is a Colombian international and is fully focused going into the Tour De France. He has decided not to race in the Giro d’Italia and is saving himself for the Tour De France. Warren Barguil is the favourite, with bookies such as BetVictor having him at 11/4. Warren Barguil is a French international. His latest achievement is his winnings of 2 mountain stages and the mountains classification in the 2017 Tour De France. These achievements have made him the favourite contender to win King of the Mountains. Behind Warren Barguil in the prediction odds for King of the Mountains is Mikel Landa, who is also a contender to win the whole Tour De France Race. RedZone Sport have odds of 9/2 for Mikel Landa and along with this, RedZone also have a lucrative welcome offer for new customers, so if you haven’t already, make sure you sign up now. Also, in the list of close contenders are Thomas De Gendt, Rafal Majka and Adam Yates. For people unaware of what the points classification competition is in the Tour De France, points are awarded to riders with high finishes in a stage and for winning intermediate sprints, which are recorded in a points clarification. You can spot the winner in a green jersey. The favourite in the competition to win the points classification is Peter Sagan, the Slovakian cyclist has won the Points Clarification 5 times in a row from 2012-2016, so due to his success in this competition he is the favourite. Many sportsbooks, for example Unibet have Peter Sagan at 4/9 odds which makes him the strong favourite. Other contenders include Fernando Gaviria, Dylan Groenewegen, Marcel Kittel and Arnaud Demare. Now if you were to back Fernando Gaviria, you can find him at odds of around 7/2 by most bookmakers. The Colombian is a strong contender after the way he impressed everyone at the 2015 Tour de San Luis, beating former champion Mark Cavendish in 2 sprint finishes. 10Bet have some great odds on these riders: Dylan Groenewegen at 17/5, Marcel Kittel at 23/4 and Arnaud Demare at 23/2 as an unlikely winner. The young rider classification is a cycling jersey competition that takes place over days in stage races. This competition only applies to riders below the age of 25. If the best young rider also wins one of the other competitions, for example the Points Classification or Mountains Classification, then they will be granted with a jersey with more authority and the next young rider in the competition will wear the standard young rider jersey. The favourite to win the Young Rider Classification is another Colombian cyclist named Egan Bernal who is 21 years of age. The cyclist is riding for Team Sky and has had a couple recent successes in the cycling world, winning stage races in the Tour of California and the National Time Trial Championships both in 2018. He is such a strong contender that odds are extremely low, with 188Bet and most other sportsbooks having him at evens. Just behind him is the French cyclist, Pierre Latour. Pierre has won some good major wins in previous years, making him a strong contender at odds of 10/3 by Ladbrokes. Other contenders include: Guillaume Martin, another French international, at 11/4. Mark Soler at 11/1 and then David Gaudu at 12/1.